How much is Irrfan Khan Worth? Irrfan Khan net worth: Irrfan Khan is an Indian actor who has a net worth of $50 million dollars. 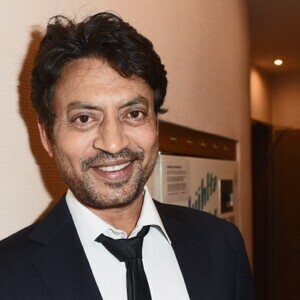 Irrfan Khan was born in Jaipur, Rajasthan, India, and went on to graduate from the National School of Drama in New Delhi, India. After graduating, he relocated to Mumbai, where he began working almost immediately in film and television projects. He has appeared in numerous Bollywood films, and has also appeared in a number of British and Hollywood projects. He has also won numerous acting honors in India, including three Filmfare Awards and a National Film Award for Best Actor. Some of his many credits include, "Salaam Bombay! ", "The Warrior", "The Great Maratha", "Banegi Apni Baat", "Jai Hanuman", "Star Bestsellers", "Gunash", "Shadows of Time", "A Mighty Heart", "The Namesake", "The Darjeeling Limited", "Partition", "Slumdog Millionaire", "New York, I Love You", "Knockout", "In Treatment", "The Amazing Spider-Man", "Life of Pi", and "The Lunchbox".